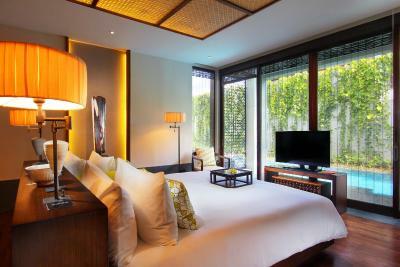 Lock in a great price for Fairmont Sanur Beach Bali Suites & Villa – rated 8.7 by recent guests! Rusty was amazing! She helped us plan and arrange our sightseeing. The staff were so friendly and helpful. The healthy and organic breakfast options were delicious. Wonderful place! We stayed in a three-bedroom villa and a suite room with a family of 13 persons. The rooms are great and very clean. The kids had a great time playing at the private pool. The constant good service from every single staff member we encountered. The villa is specious well equipped with all facilities and a nice private pool attached to it The hotel stuffs are so friendly. We took an option to upgrade our stay from 2 suites to a 2bedroom Villa and trust me it was totally worth it. Butlers were attentive, the in room dining was a really good experience - delicious and well presented. If there was something missing, there was always offered a solution via front desk or butler. Special thanks to Mr Nandar, the Director of front office who spent a minute listening to us and offerred a complimentary very late checkout. It was really really nice. Thank you. The room was incredible (not to mention bigger than our apartment) and we had our own private balcony with a second TV and a dining table over looking the gardens. Everything! Location. Food. Staff. Relaxed atmosphere. Proximity to town and beach. Heaven on Earth! The staff were lovely - restaurant & happy hour good. Solved issues we had. 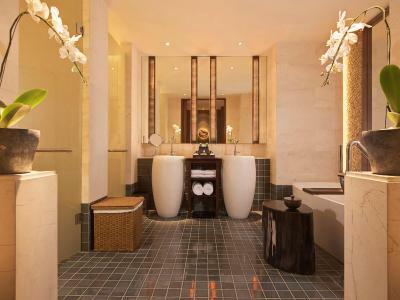 Fairmont Sanur Beach Bali Suites & Villa This rating is a reflection of how the property compares to the industry standard when it comes to price, facilities and services available. It's based on a self-evaluation by the property. Use this rating to help choose your stay! 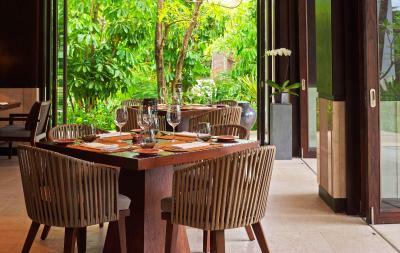 One of our top picks in Sanur.Located in tranquil Sanur, Fairmont Sanur Beach Bali features a stunning tropical garden and a semi private beach. It also features an outdoor pool and two dining options. Free WiFi is accessible in all areas. Guests enjoy free shuttle services within the Sanur area. Boasting luxury and comfort, suites in Fairmont Sanur Beach Bali come with traditional Balinese décor and a living area with a view. They are fitted with a flat-screen satellite TV and an iPod docking station. 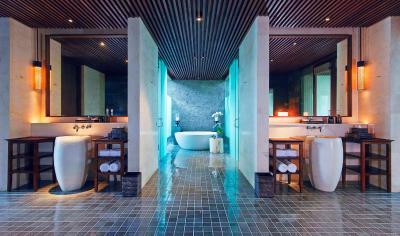 The private bathroom comes with a shower, a bathtub and free bath amenities. 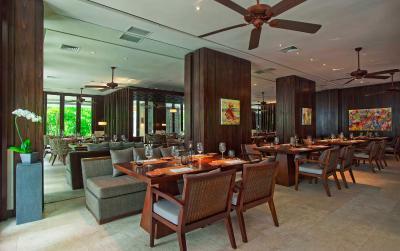 The Halal-certified Nyala Beach Club & Grill specializes in seafood dishes and grilled delights, while Layang Layang serves Indonesian and Western cuisines. 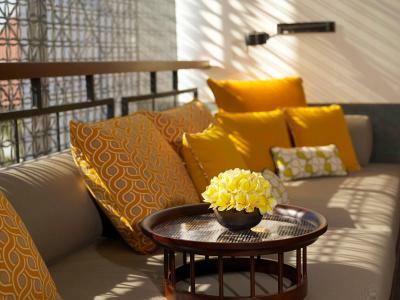 There is also a lounge where guests can enjoy afternoon coffee and tea. 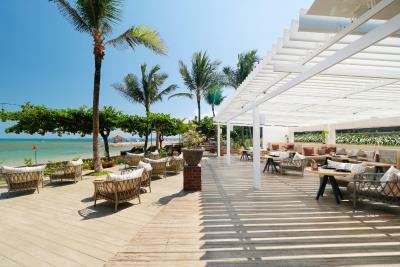 Fairmont Sanur Beach Bali provides a kids club, a spa and a gym for guests' enjoyment. Meeting/banquet facilities and valet parking service are also among the on-site conveniences. Fairmont Sanur Beach Bali is a 5-minute drive from Grand Bali Beach Golf Course and a 30-minute drive from Ngurah Rai International Airport. 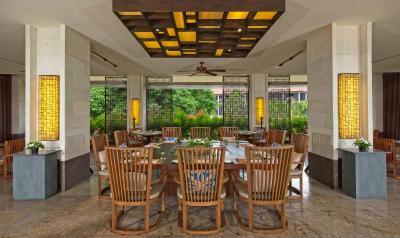 This is our guests' favorite part of Sanur, according to independent reviews. 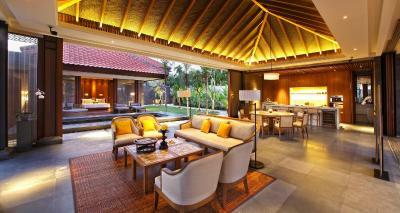 This property also has one of the top-rated locations in Sanur! Guests are happier about it compared to other properties in the area. 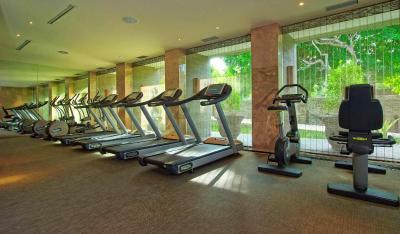 뀐 Located in the top-rated area in Sanur, this property has an excellent location score of 8.8! 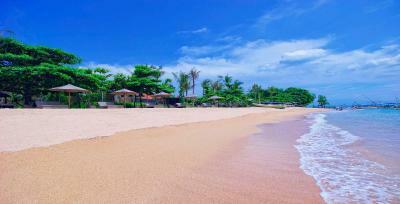 When would you like to stay at Fairmont Sanur Beach Bali Suites & Villa? Overlooking the lush gardens, this suite features a cable TV, a safety deposit box and a seating area. The private bathroom comes with a shower, a bathtub and free amenities. Overlooking Nusa Lembongan Island, this suite features a cable TV, a safety deposit box and a seating area. The private bathroom comes with a shower, a bathtub and free amenities. 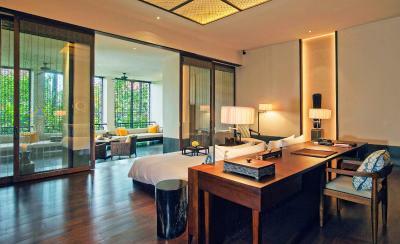 Offering more space, this suite overlooks the lush gardens. It comes with a cable TV, a safety deposit box and a seating area. The private bathroom comes with a shower, a bathtub and free amenities. 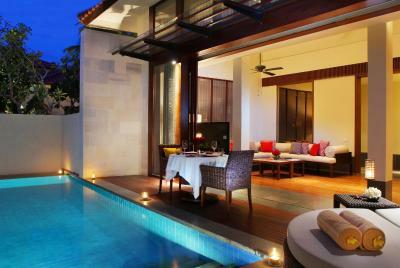 Offering more space, this suite overlooks Nusa Lembongan Island. It features a cable TV with DVD player, a safety deposit box and a seating area. The private bathroom comes with a shower, a bathtub and free amenities. Guests enjoy 75-minute session body massage for 2 people daily, except the day of check-out. 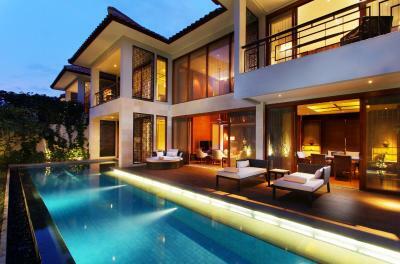 Boasting luxurious living area, this villa comes with a private swimming pool and a private spa room. 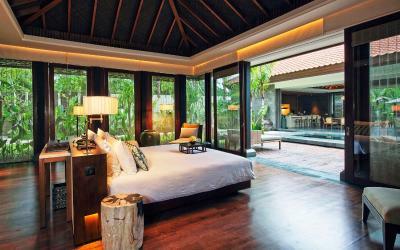 The 1-bedroom villa has a living room, a dining area, and a fully equipped kitchen. Modern amenities include air conditioning, flat-screen TVs with international channels, personal safes, an iPod dock and speakers. Bathroom is spacious and fully stocked with toiletries. It comes with a bathtub and a shower. Boasting elegant living space, this 2-story villa comes with a private swimming pool and a private spa room. The 2-bedroom villa has a living room, a dining area, and a fully equipped kitchen. Modern amenities include air conditioning, flat-screen TVs with international channels, personal safes, an iPod dock and speakers. Bathrooms are spacious and fully stocked with toiletries. They come with a bathtub and a shower. 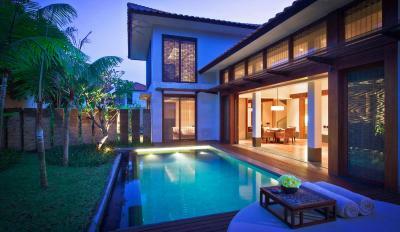 Boasting elegant living space, this 2-story villa comes with a private swimming pool and a private spa room. 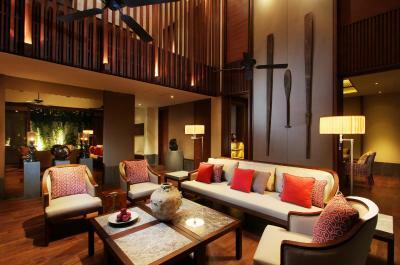 The 3-bedroom villa has a living room, a dining area, and a fully equipped kitchen. Modern amenities include air conditioning, flat-screen TVs with international channels, personal safes, an iPod dock and speakers. Bathrooms are spacious and fully stocked with toiletries. They come with a bathtub and a shower. 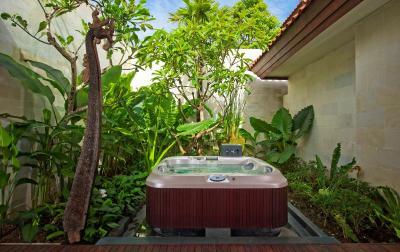 Overlooking Nusa Lembongan Island and the Indian Ocean, this 2-bedroom beachfront villa offers a private pool and a private spa room with steam room. It also has separate living and dining areas. There are 2 bathrooms fitted with bathtubs, shower facilities, and toiletries. 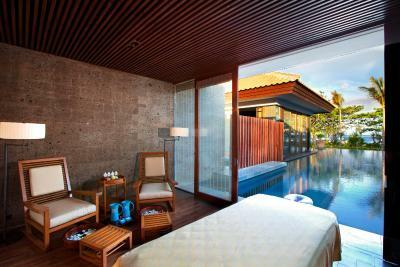 House Rules Fairmont Sanur Beach Bali Suites & Villa takes special requests – add in the next step! Fairmont Sanur Beach Bali Suites &amp; Villa accepts these cards and reserves the right to temporarily hold an amount prior to arrival. Fairmont Sanur Beach Bali Suites & Villa accepts these cards and reserves the right to temporarily hold an amount prior to arrival. Please note that for bookings with prepayment, the credit card used for booking must be presented upon check-in for verification purpose. The location, the pool, pier 8 was great. Ocean view very obstructed by palms. The breakfast a bit limited. Rooms very dark. If you’ve stayed in other Fairmont Hotels you will have a certain standard in mind and the price tag to go with that. 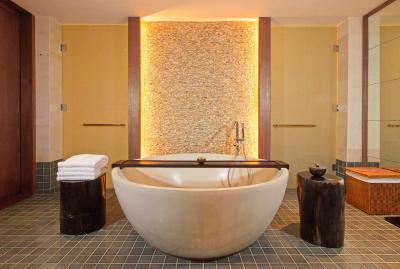 There is a reason The Fairmont Sanur is half the price of other Fairmont properties and that’s because it needs a refurbishment - it’s tired and frankly a big ragged around the edges. That said if you go there with that expectation there is much to like and all in all we had a pleasant stay. The rooms are a good size and well serviced by the staff who, like most Balinese are lovely and very helpful. The gardens are beautiful and breakfast a real treat. The beds were sagging and caused back aches. The breakfast at their restaurant apart from being overpriced was very disappointing. The first morning I ordered Eggs Benedictine A La Carte. They served 1 egg. when I finished I noticed someone else getting 2 eggs. I mentioned it to the waitress so she brought out another egg and apologized. The same happened the next morning. The location of The Fairmont is excellent situated in a quiet area. The views of the Ocean are great and they have a good outside bar serving good food and drinks etc. The staff were courteous and friendly and went out of their way to please. The wonderful thing about this property is the space we had and the attached swimming pool. We upgraded to the villa on recommendation from a friend whom previously stayed there. The property was beautiful and spacious for 3 adults and 1 toddler. Housekepping were on the ball. The 2nd refresh clean was awesome in the early evening. All staff were brilliant. The buffet bbq was cooked spot on. The chefs did a wonderful job. Thought it wasn't great value for money, pool and facilities were a LONG way from the rooms which was hard with a toddler. There isn't many dining options within the hotel. We had to wait until 6.30 for one of their restaurants to open, which seems early but not v family friendly. Staff were friendly. Good location next to the beach if you wanted to go outside the hotel to restaurants. Breakfast was excellent. could have done with some nightly entertainment. Bed very comfortable. Spacious room and bathroom. We both celebrated Birthdays snd we were spoilt by the staff!